The hunt is on but the question is, are you the hunter or the hunted? If you&CloseCurlyQuote;re up against the creature from the 1987 sci fi action horror film Predator, odds are you&CloseCurlyQuote;re the prey. 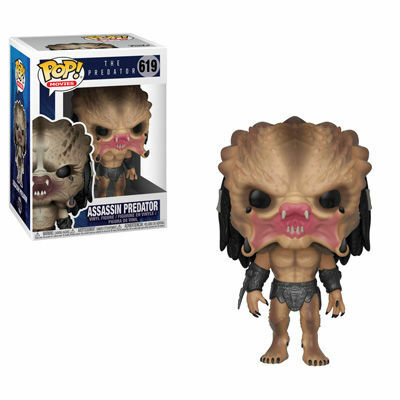 Laugh in the face of imminent death with this line of Predator Pop!s including the titular creature with a one-in-six Chase, a Super Predator (in case the Predator wasn&CloseCurlyQuote;t sufficiently terrifying) and a Predator Hound with a one-in-six Chase. Legal Notice: Entire contents trademarked (® or TM) and copyrighted (©) 1986-2019 by Things From Another World, Inc. and respective copyright and trademark holders. All rights reserved. Page rendered at 2019-04-19 01:33:45 in 0.186 seconds.